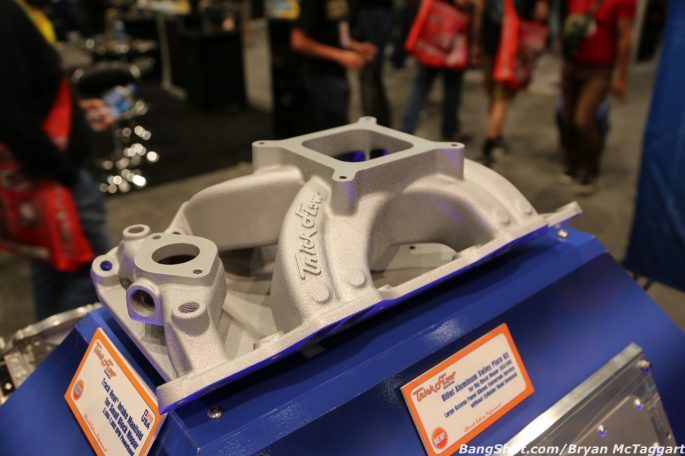 Mark Williams Enterprises Introduces New 5 on 4.75 Bolt Circle Full Floater Hub! 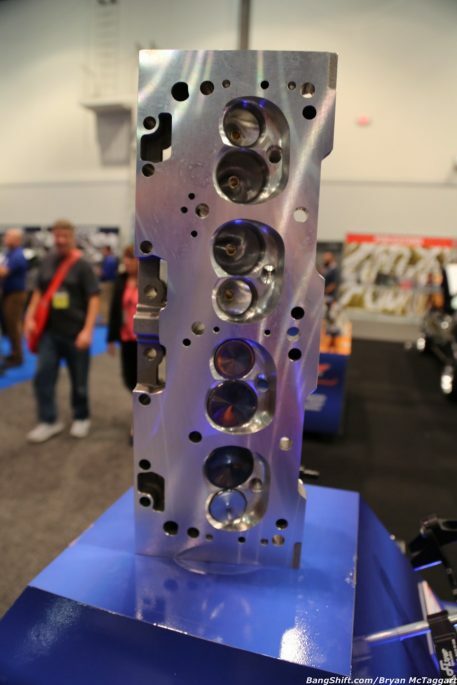 K&N Spring Fling Million 2019: Our Last Gallery From The Big-Money Battle In Las Vegas! 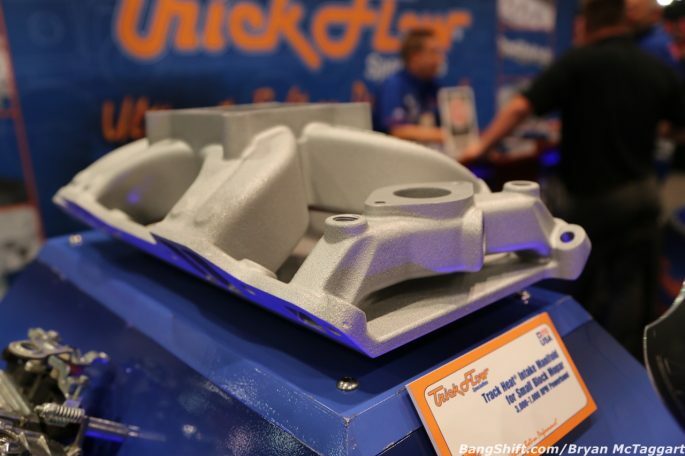 Trick Flow Brought Out New Stuff For Small-Block Mopar And Ford FE At SEMA 2018! 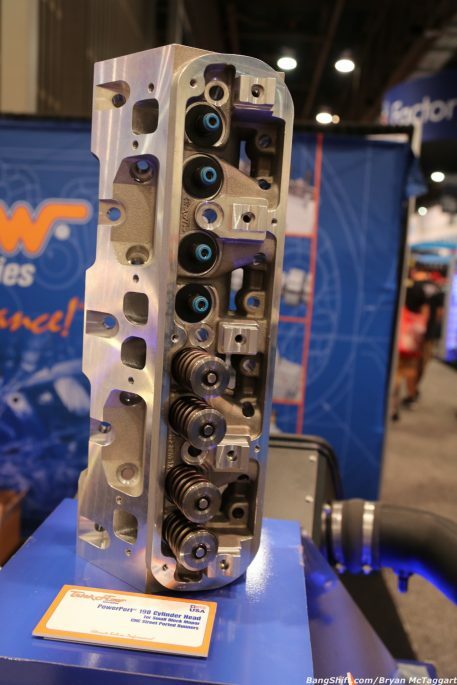 We first heard about it at last year’s SEMA show, but Trick Flow’s PowerPort 190 cylinder head for small-block Chrysler engines is just about ready for the big-time show! 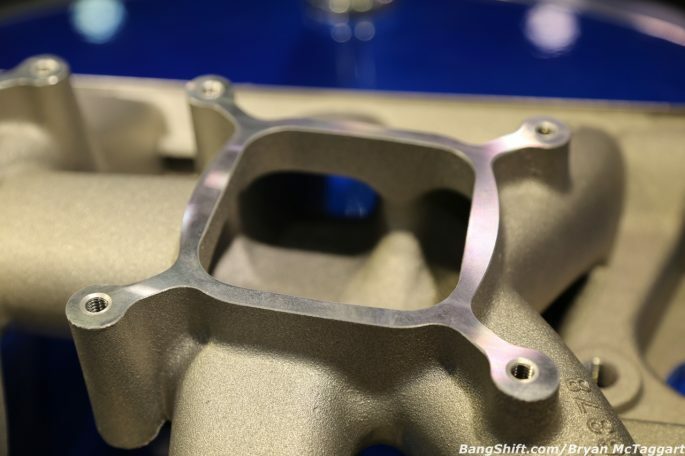 The PowerPort 190 has been in development for a bit now and according to Trick Flow, has seen some issues along the way that have delayed fielding and during working, improvements were added, but they are now expecting either a very late 2018 or early 2019 release date for the head, which will bolt up to either the classic LA-style or more modern Magnum engines with no issue. One of the biggest issues with small Chryslers is air flow in the heads, and usually the answer was to either get busy hogging out the ports or to save your pennies up for a set of the near-mythical W-2 heads and all of the additional parts and pieces you would need to make them work in your application, since W-2 heads require different intakes, exhaust setups, and more. The PowerPort 190 isn’t too radical, but it’s a large step up from what’s been out in the market for years. 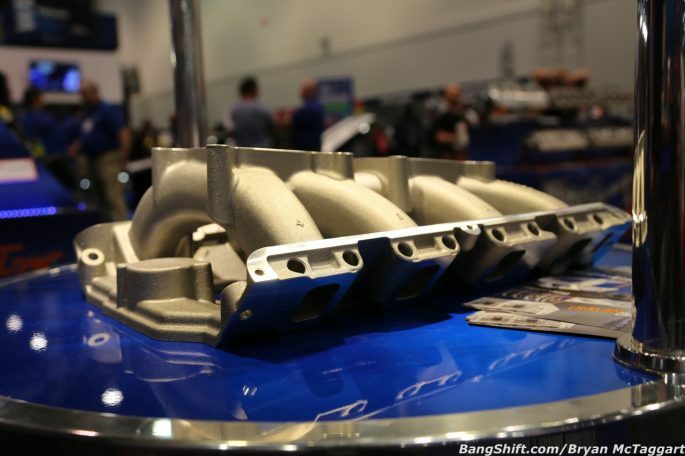 Speaking of intakes, Trick Flow had two they wanted to show us. 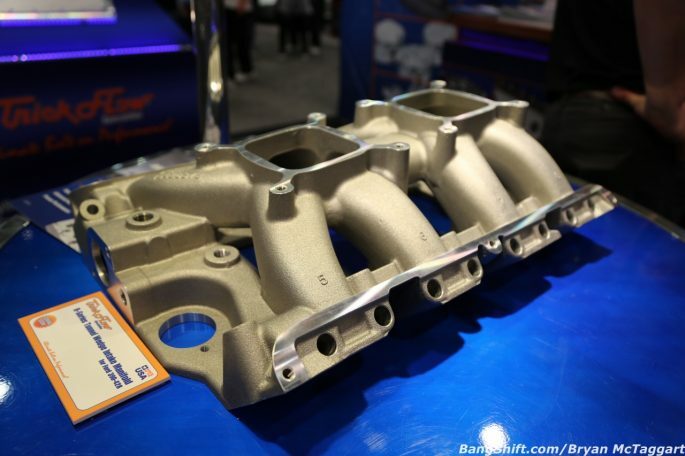 The first would be the perfect item to pair off with the PowerPort 190 heads for your small Mopar build It’s called the Track Heat manifold and it’s also at the final stretch of development that should be on the market by late Spring of 2019. 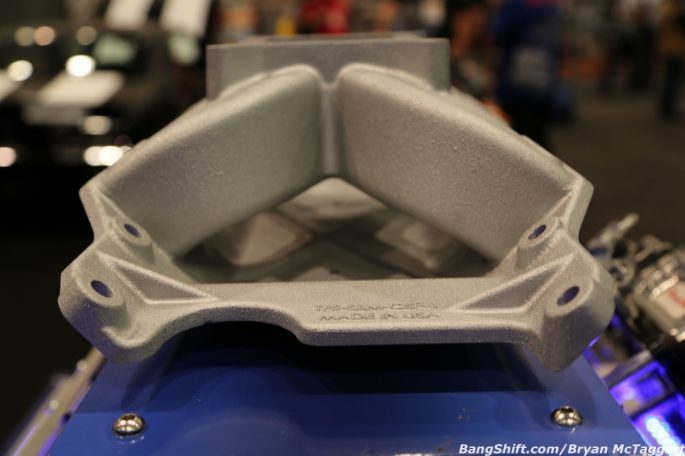 The Track Heat is a single plane intake with an air gap setup that will undoubtedly be welcomed for those trying to eek out the last few horsepower from their builds. 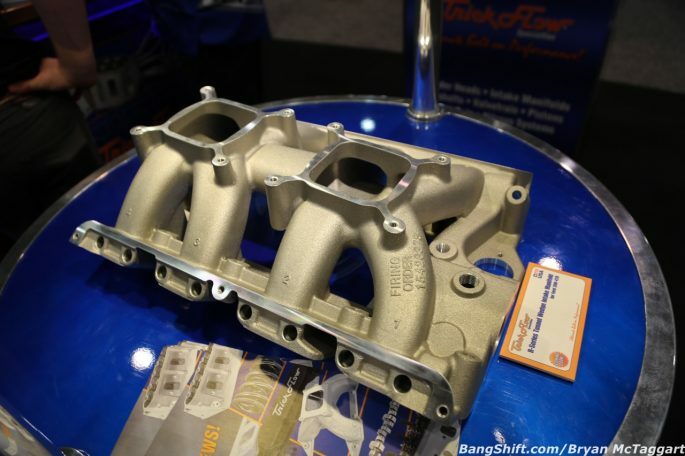 And finally, switching away from Chrysler stuff, is an upcoming R-series Tunnel Wedge 2×4 manifold for Ford FE engines, specifically 390-428. 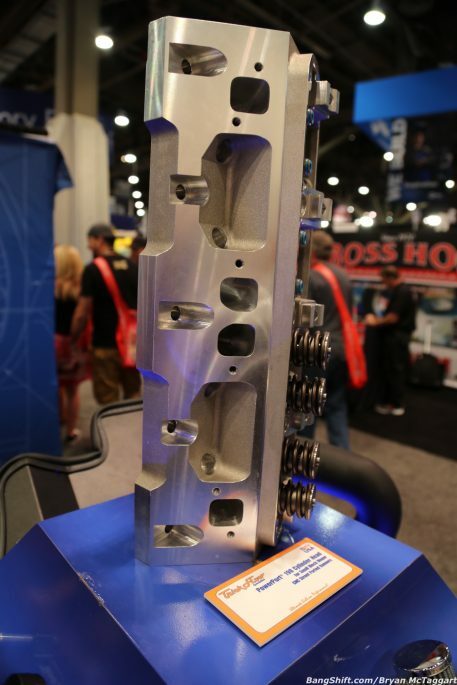 This is a medium-riser intake that is spaced for a Holley 4160-style carburetor that should provide an economical alternative to hunting eBay and swap meets for some of the more coveted Ford parts out there. I saw the TunnelWedge there and had to thank the guys. I think it will be a good seller if they become available at the price he mentioned.